Carnoustie Golf Links offers fantastic facilities filled with natural day light and high ceilings. 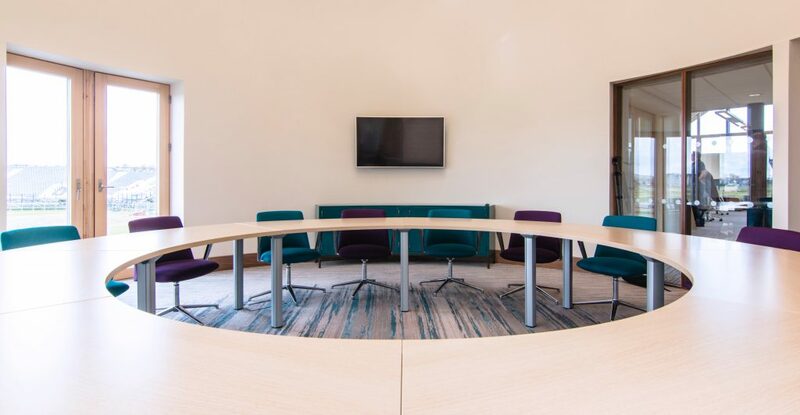 If you are seeking an inspirational space to give your delegates, the opportunity to channel their energy and focus whilst being able to let their imagination & creativity thrive, then our impressive facilities with spectacular views of the world famous Championship Course is the venue of choice. For more information, download our meetings and events brochure. Our Day Delegates Rates are available from £18.00 for a half day and £29.50 for a full day, based on 6 to 16 delegates. Rates for 1 to 5 delegates are available on request. We can provide a further array of options that can be added to your day. From private dining, break out spaces, corporate golf and use of our indoor simulators, you are sure to find the best options for you. Our team are on hand to give you all the information you require in order to arrange your perfect corporate package. We can provide guided tours and discuss your requirements in further detail.